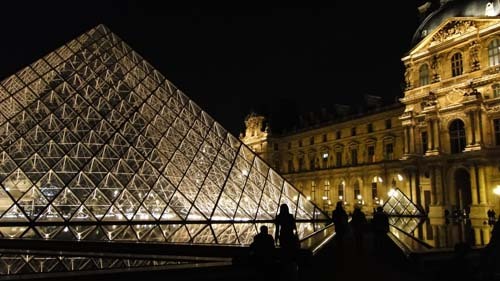 Our pictures of the Louvre Museum at night don’t show why we were so awed by it. 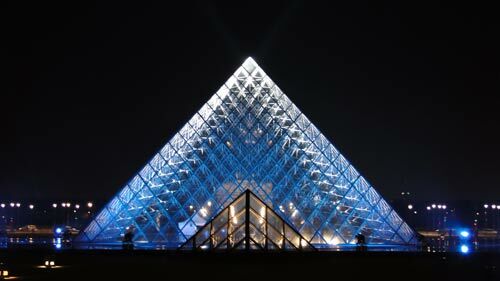 Of the 5 nights we walked around the Louvre, we only saw the blue pyramid once. This is me sitting on the weirdest bench I’ve ever sat on. 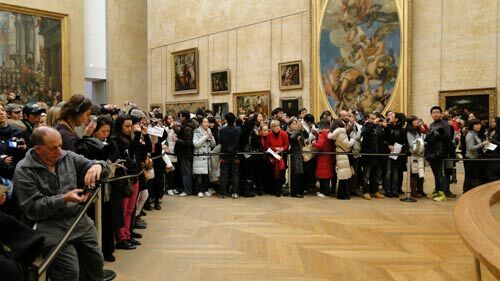 Pretty much everyone followed the arrows to the Mona Lisa, fought for a good spot, and tried to take a picture. We were no different but the pictures of Mona Lisa aren’t that great (an exit sign reflects of the glass in front of the painting) and I thought this one was more interesting. Thanx for the pics! I agree – strange, weird bench. 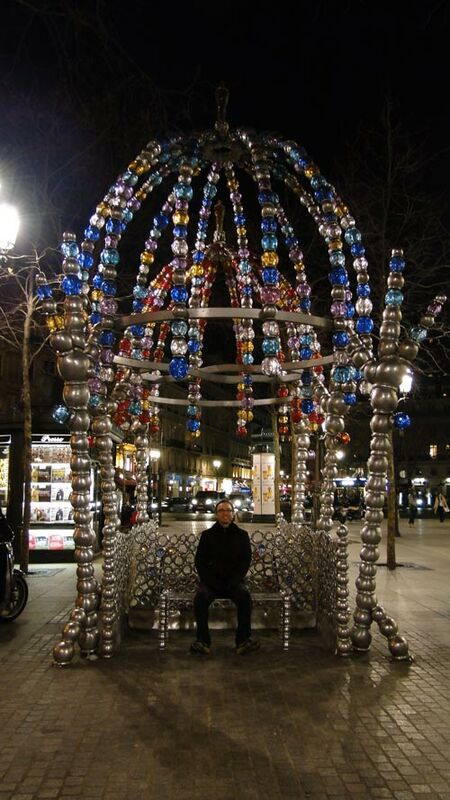 Were they advertising something or just a work of art…?!! I don’t think it was an ad! I was disappointed with the Mona Lisa, because I thought it was larger in size. I took my photo by holding the camera in the air and shooting. I lost my 7 year-old daughter in that room for 25 minutes, and my heart was racing. I do not remember seeing that pyramid at The Louvre so thank you for sharing that beautiful shot. 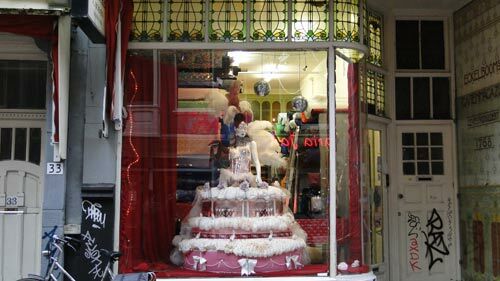 I entered where the shops were located. Though, I did not walk through the entire museum, because my group wanted to leave. Even my 9 and 7 year-old children wanted to continue. I promised them we’ll go back again in the future.